Barbara (Bobbie) Langford, age 84, of FWB, passed peacefully in the arms of the Lord, surrounded by loved ones, on February 10, 2019 after an extended battle with Alzheimer’s. Bobbie was born July 27, 1934 in Passaic, New Jersey, to the parents of Robert Herbst and Ellen Matthews. In 1948, Bobbie met her beloved husband, James A Langford, in high school in Ft Myers, Florida. As high school sweethearts, they later got married in her mother’s home on January 15, 1955. Bobbie then started her life with James as a military spouse and served alongside him for 20 faithful years. After James retired from the Air Force in 1972, they decided to make Fort Walton Beach their home. She then began administrative work at the local telephone company and then at N Goldring Corporation. 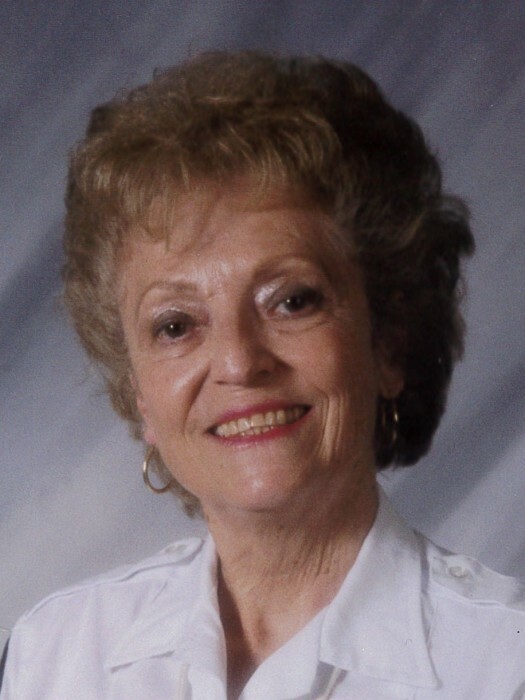 After retiring, she began working for the city of Fort Walton Beach Police Dept. as a school crossing guard, at Kenwood Elementary, which she loved & adored all of her kids. Bobbie is survived by her beloved husband of 64 years, James A Langford; two daughters, Cynthia Davidson and her husband, Greg, and Vicki Richburg and her husband, Bo; grandchildren, Amber Midland and her husband, Kenny, Travis Brennan, and Kayla Dawson and her husband, Taylor; and three precious great-grandchildren, Peighton and Ashlyn Midland, and Briar Dawson. She is preceded in death by her “nanny”, Elsie Matthews; mother, Ellen Long; father, Robert Herbst; two brothers, Roy and Richard Hutting; and sister, Elaine Gartiser. A funeral service will be held on Friday, February 15, 2019 at 3:00 pm at Davis Watkins Funeral Home, 113 Racetrack Road NE, Fort Walton Beach, Florida 32547, with the family receiving friends one hour prior to the service. Interment will follow at Beal Memorial Cemetery. A special thanks to Emerald Coast Hospice & Home Instead for the excellent care they provided Mrs. Bobbie in her final years. Also, a special thanks to Shawnna, Tracie, Debbie, Donella and all of the amazing people who showered her with love and care. Bobbie was a beloved wife, mother and “Annie”. Her contagious smile and laugh will greatly be missed by all who loved and knew her.